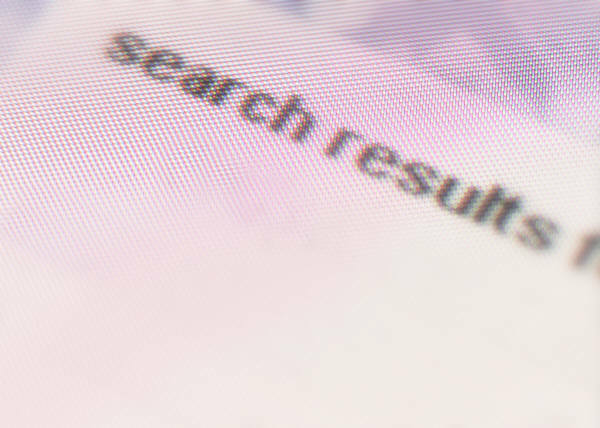 Back in March of this year, Google announced some new algorithm changes that will penalize sites for doing their search engine optimization (SEO) too well. The goal, according to Matt Cutts, head of Google's search spam team, is to level the playing field. Companies (and individuals) who have thousands of dollars to spend on website SEO may no longer have the advantage over the rest of us. This latest Google update has just begun to roll out, so it's time for businesses- and bloggers- to start thinking about our content. How can we make sure our blog posts don't get dinged for over-optimization? There are a few questions to keep in mind when writing content that will keep your posts ranking well and being relevant in the eyes of Google. 1. Be careful where you place your keywords. Too many keywords, or keywords too close together, are not considered healthy SEO in any context, but it's more important than ever to make sure you're staying away from the naughty SEO method known as "keyword stuffing". Never, ever have too many keywords in your written content. Make sure your key words appear only a few times in the post. For example, if I want to rank well for the search term "ancient Viking ship" with a 3-4 paragraph blog post, I would try to make sure that the phrase ancient Viking ship shows up in my post about 4 times. The easiest way to do this is to place the phrase ancient Viking ship once in the first sentence, once in the last sentence, and 2-3 times in the middle. 2. Make sure you have enough content. Remember, Google ranks for relevance, meaning what it think will be the most useful for the person searching. In most cases, an 800-word piece about ancient Viking ships would rank better than a 100-word piece. There is more content in the 800-word piece, and Google loves content. If you're writing about a real estate listing, avoid copying the short property description you wrote for the MLS. Take the time to create something substantial if you hope to rank anywhere near the first page of results with your post. 3. Write for your audience, not for Google. Google can recognize and differentiate between content written for an intended human audience, and content written with the intention of tricking search engines. This latest update shows that, more than ever before, Google's plan is to reward authenticity and punish content that was written only with SEO in mind. As long as you provide authentic, useful information that your human audience will enjoy (and hopefully share! ), you have a much higher chance of Google ranking your content well. If this seems like a lot of information, don't worry. The bottom line is that you really shouldn't over think the content you publish online. If your content is valuable, and not doctored up with fancy-shmancy SEO tricks, you are much more likely to be rewarded by Google. Your new mantra should be: Don't think. Just write! Thanks Karli this is great information to have! I'm trying to keep the key words to the 2-3% range Karli. I was taught to bold or underline the key words. Has that practice changed? Cindy Hallas (AZ Lic# 0916143, CA Lic# CA-DOC334571 NMLS# 334571) with AmeriFirst Financial, Inc.
Cindy, I see that practice still in use by many bloggers. From what we have seen in Google's changes over the last year, the content that Google ranks the best is content that is easily readable. Too many bolded or underlined words is not easily readable. Try bolding the keyword the FIRST time it appears in your content and leaving it unbolded for the remainder of the post. This gives Google the information it needs to rank your post without going overboard and risking hurting your chances by being too "spammy".